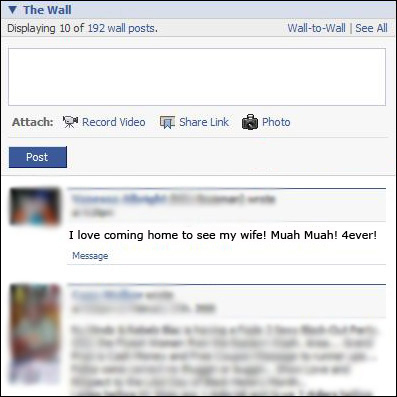 If you are anything like me, you can’t stand it when people mush on their significant other over the internet. You find it nauseating, mostly pathetic, and a waste of everyones time. Is it ever ok? Yes, probably about twice a year. Birthdays require the mandatory “Happy Birthday Babe!”– maybe an anniversary mush is allowable, but three times is the absolute limit. THAT’S IT. Maybe I’m too insecure or maybe I can just see through the boloney. 1. They prove just how obnoxious you are. 2. They broadcast to the world how unquestionably fake your relationship is. The worst part about these messages is that they offer no reason as to why a person’s “snookums” is the “most fantabulous cherry-berry” man or woman on the planet. I’m not going to do that. I’m going to do the exact opposite. Amanda works hard. Maybe you’ve heard of the Proverbs 31 woman. About the only thing the Proverbs 31 woman doesn’t do is sleep. She doesn’t have time for it. Amanda is the same way. She works 40 plus hours a week, makes the income, goes to school, cooks, and has to re-clean because I obviously have no idea what what I am doing. Amanda knows what I want better than I do. For my Birthday my wife gave me the five best gifts ever. She took me camping, bought me the Barnes & Noble 2011 Desk Diary, took me to see the Cormac McCarthy Archives at Texas State, helped me put together a space to write, and did it all dirt cheap. I didn’t ask for any of that.